From sweet treats to getaways. With Valentine’s Day right around the corner, we’ve put together a list of the bess gifts to get for your Trini sweetheart. From gifts that will provide them instant gratification to gifts that will treat them throughout the year, here are our favourites. 1. A subscription box with their favourite Caribbean treats. TabancaBox is a subscription box service offering your favourite Caribbean treats that are 100% manufactured in the Caribbean… delivered straight to your door. We love this idea as a gift because it’s a gift that keeps on giving. Some of their product selection includes channa, sorrel and more of our Caribbean favourites. Subscriptions can be tuned to your preference to fit your needs and you can also order select boxes such as ManBox, Sweet Tooth and HotBox. 2. Tickets to the Tobago Jazz Experience. The Tobago Jazz Experience is right around the corner, and tickets to this event would make for the perfect gift for the music lover. The Tobago Jazz Experience takes place April 22-30 this year, and includes performances by Shabba Ranks, D’Angelo and the Vanguards, Grace Jones and Morgan Heritage. Not only would you be taking in the tunes, you’d get a mini vacation in Bago with someone special. Cost: Will be made available soon. 3. 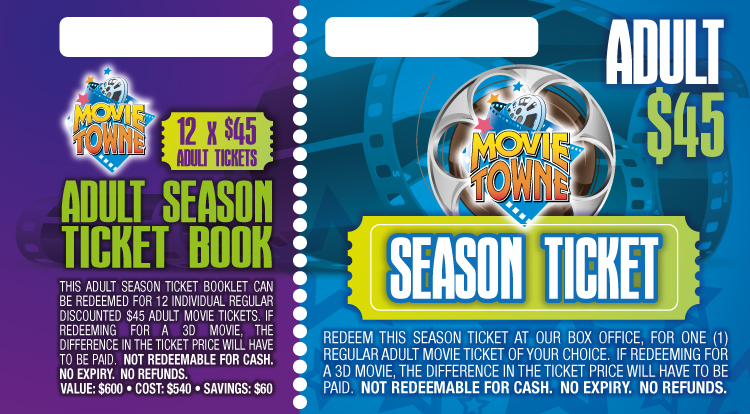 Movietowne & chill with a year’s worth of movies. For the movie lovers. ‘Movietowne’ & chill all year long by getting them (and yourself) a season ticket book for the year. The season ticket book covers 12 movies (works out to once a month or used how you please). This gift is another that keeps on giving, since you’ll be dedicating time every month for a proper date night. You can’t go wrong with sweets and we’re currently loving these local brands that have Valentine’s Day themed bundles. On top of these delicious treats, you get to #SupportLocal. 5. Plane tickets for a weekend getaway. Feeling adventurous? Book a trip to somewhere in the Caribbean for a mini getaway. Whether it’s Tobago or another nearby island, Caribbean Airlines offers flights to Grenada, Saint Lucia, Saint Vincent and Barbados for about $190 USD / person or for $60 USD / person for Tobago. Of course this gift requires a bit more planning with accommodations, food and attractions – but it would definitely be a surprising romantic getaway they won’t forget. And… If you’re a student in Trinidad & Tobago you save 10% off flights within the Caribbean (excluding Tobago)! Senior citizens also save 10%. For details click here. 6. A bouquet of fresh flowers. Flowers are one of our favourite ways to show appreciation whether it’s Valentine’s Day or all year long. Flowerline offers the ease of shopping online and having your bouquet shipped directly to your boo. Or, if you’d like to personally deliver your bouquet, you can purchase in-store. Valentines Valentines Valentines. . FLOWERLINE has launched our new floral lines on flowerlinetnt.com. . Check it out! 7. A relaxing and romantic spa package. Give the gift of relaxation with a luxurious spa package from the Hyatt Regency Trinidad Spa Esencia. From spa packages that includes massages and facial treatments to salon services. This is the perfect gift if you’d like to treat them for a solo day or join them for the ultimate relaxing date. Want to leave it up to them? Gift certificates are also available. One of our favourite gift ideas is the ‘Spa Honeymoon Package’ that includes a 50-minute couples massage paired with sparkling wine and chocolate truffles. It seems like Valentine’s Day and chocolate go hand in hand, so why not get them some local treats to sweeten up your gift? Here are some of our favourites. From gorgeous desserts to specially designed pieces of chocolate to suit your tastes. Their chocolates come from beans from the Rancho Quemado Estate in south Trinidad. For the dark chocolate lovers, Brasso Seco produces high quality dark chocolate using 100% Brasso Seco Cacao Beans. Brasso Seco also produces Biche and Cuche bars. We absolutely LOVE this idea. Sunrise Ole offers surprise breakfast and treat delivery, perfect for surprising someone first thing in the morning to start off your Valentine’s Day. Based in Port of Spain, Sunrise Ole currently has the perfect Valentine’s Day box, with limited quantities available. 10. A Carnival package with tickets to their favourite fetes. For the ones that like to pump during Carnival, surprise them with a variety of tickets to their favourite fetes, or fetes that they want to go to and didn’t think they would get the chance.